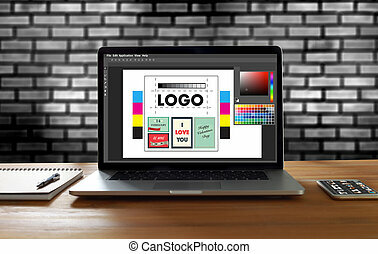 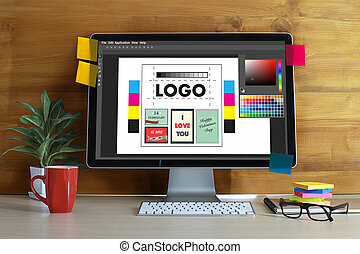 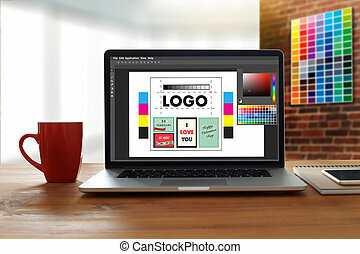 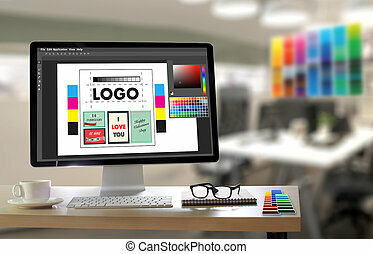 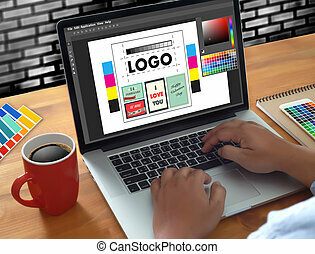 Creative designer graphic at work. 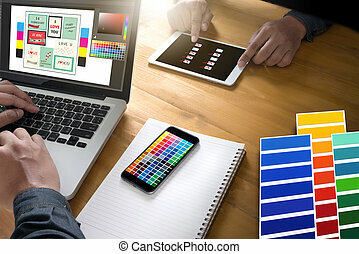 color swatch samples, illustrator graphic designer working digital tablet and computer. 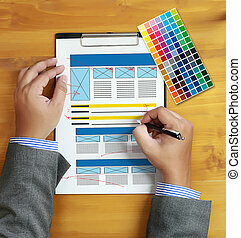 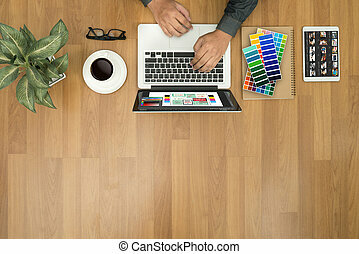 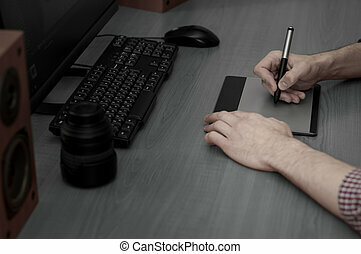 Graphic designer at work. 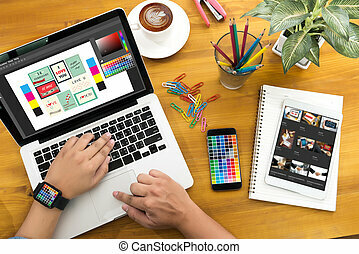 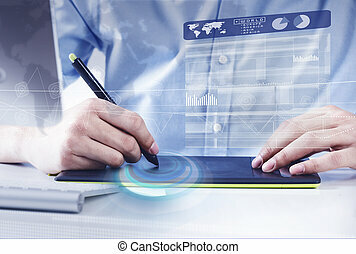 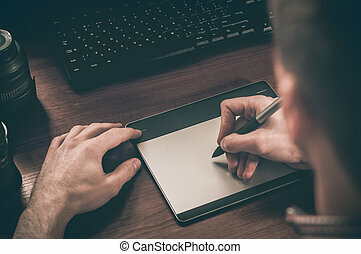 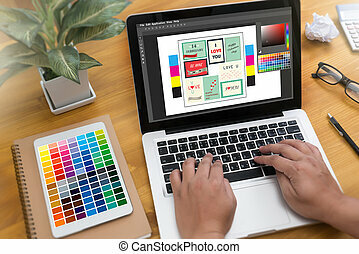 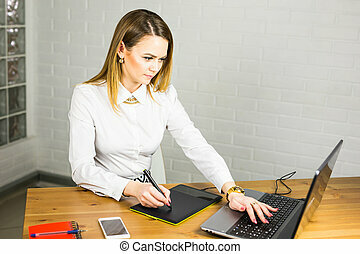 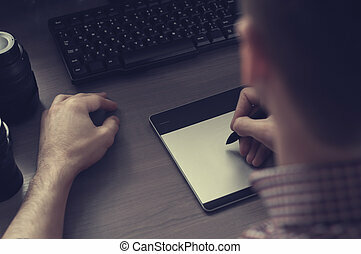 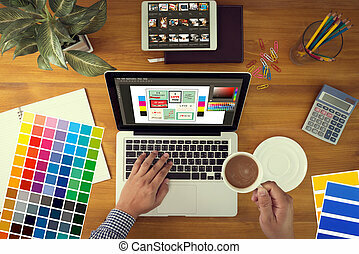 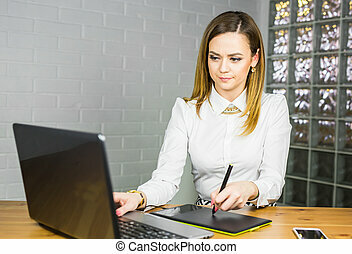 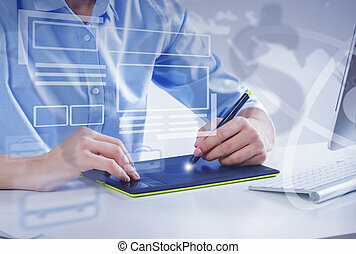 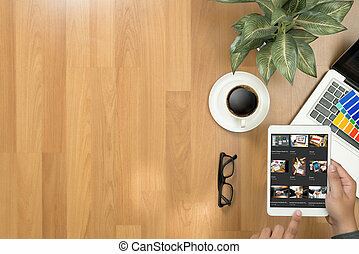 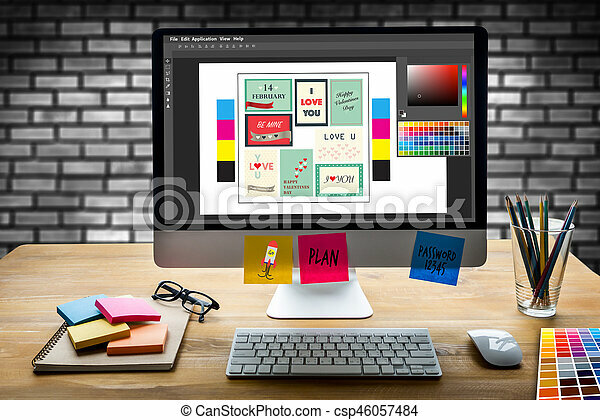 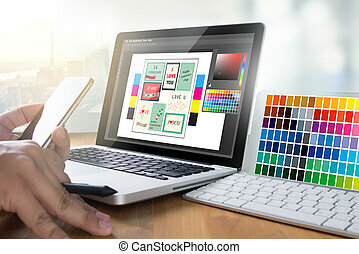 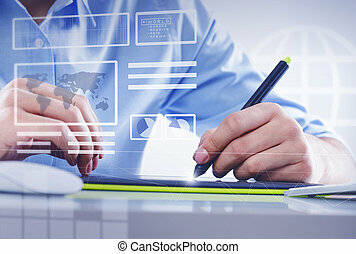 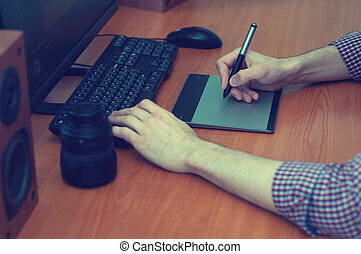 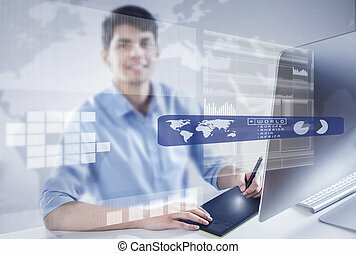 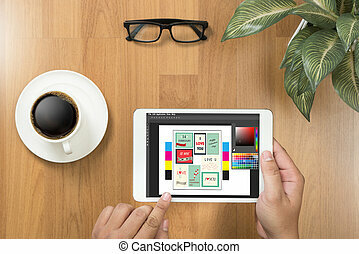 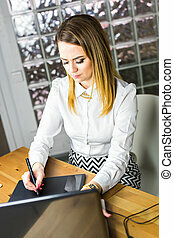 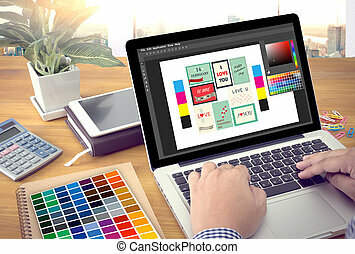 Woman drawing with graphics tablet, working designer.